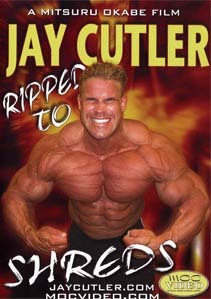 Jay's "right before contest preparation"; Filmed February - March 2004 right before his third consecutive win of Arnold Classic 2004. (Contest scene is not included.) Whole body routine with extreme condition. A Mitsuru Okabe Film; Double-DVD Set; Running time: Approximately 210 minutes; DVD-Video NTSC; All Regions; DVD Release date: January 2005.